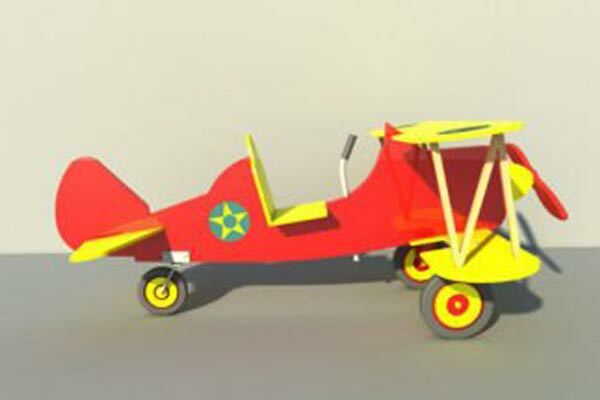 Cloudbuster pedal airplane DIY plans award winning design by Sidewalk Fliers. Pedal operated with tail wheel steering. Plywood construction, optional rib and spar construction. 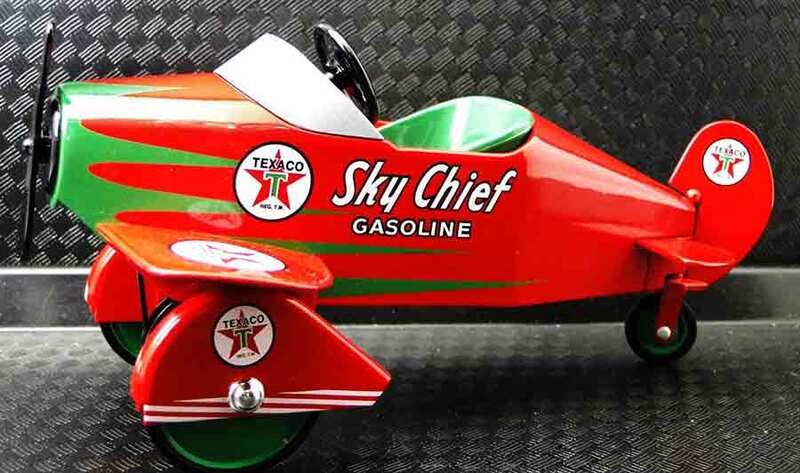 Build a special kind of pedal car using these pedal airplane plans. Even a woodworking novice with limited tools can do it. Childs pedal powered biplane DIY project plans on Ebay. 33" wing span and 57" long. Pedal power with rear wheel steering. Designed by Ben Stone, a retired Engineer from Canada. Super Stearman pedal airplane DIY project plans on eBay. 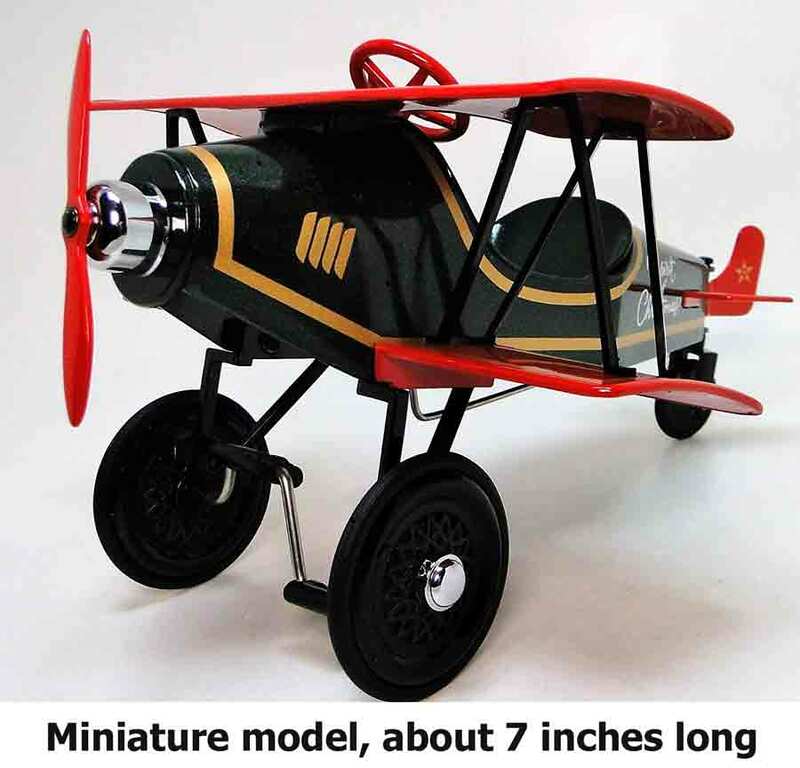 Includes the patterns and illustrations that show you how to build this great little tyke's biplane. 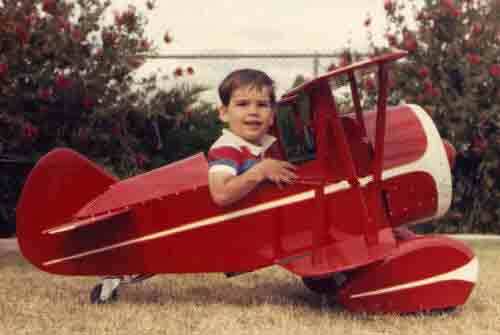 This is perfect for the young pilots in any family. Building instructions are also included. DIY pedal plane plans for sale from pedalplanekits.com. 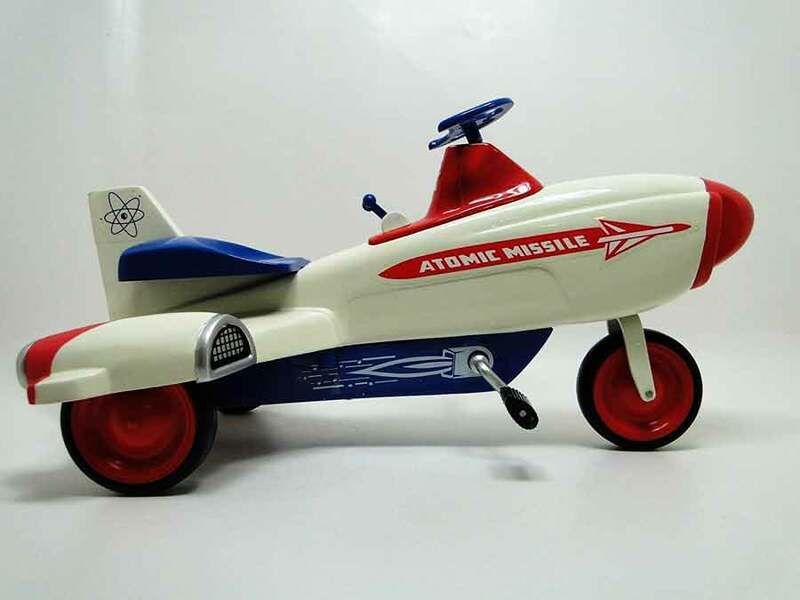 Most models have steerable tail-wheels, some have spinning propellers connected to the pedals. Kits available separately include wheels, hardware, steel fabricated parts, plywood parts and decals. Use this contact form for more details. 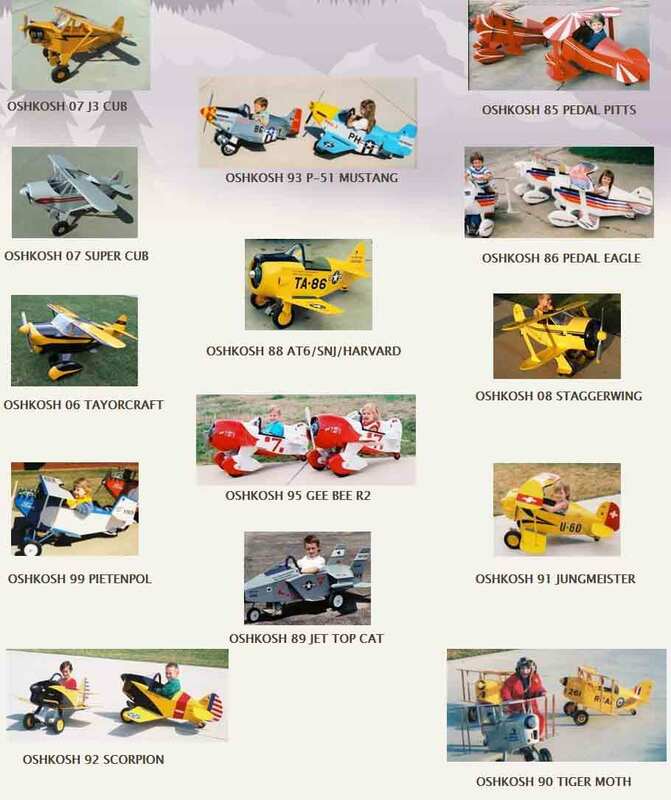 Amazon has a choice of ready made pedal airplanes to buy. 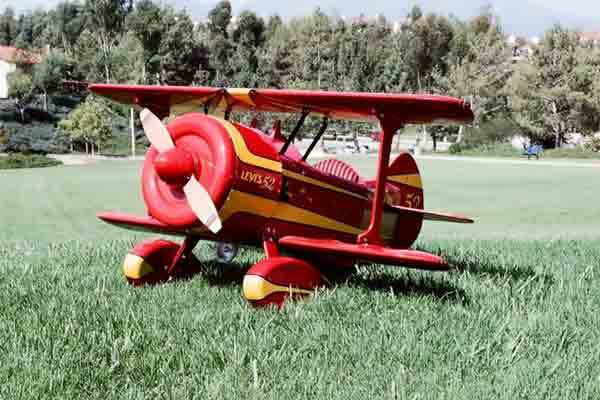 These pedal airplanes are museum quality collectors items, not for children to ride on. These are miniature display models of the real thing, generally between 8 to 12 inches long. 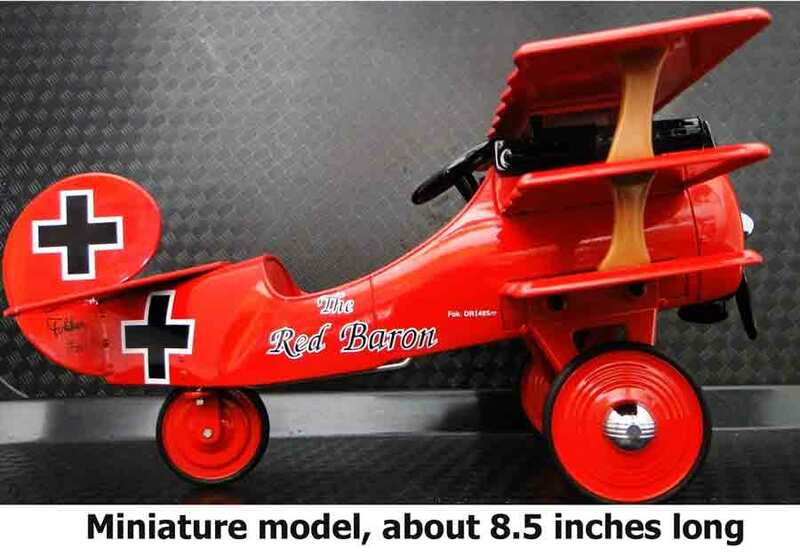 ”Pedal airplane model Red Baron miniature.